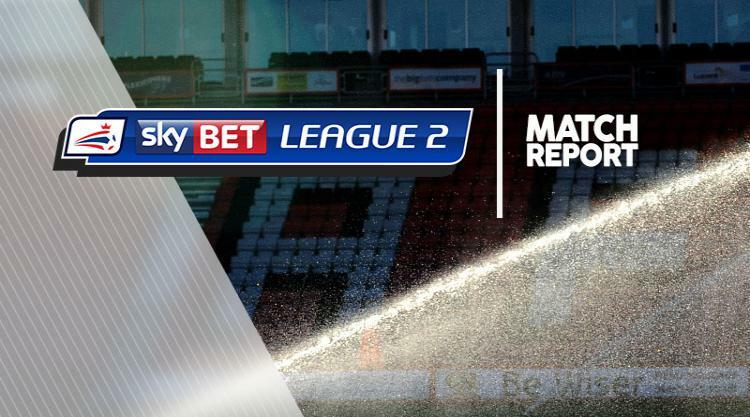 Morecambe earned their first home win in eight league games as a 2-1 victory sent Plymouth crashing to a third successive defeat and saw them slip to second in the Sky Bet League Two table. Goals from Michael Rose and Peter Murphy either side of an Oscar Threlkeld header gave Jim Bentley's side a much-needed three points. Morecambe opened the scoring from the penalty spot in the 20th minute. Dean Winnard was bundled over in the penalty area as the home side swung in a corner and the referee pointed to the spot, with Rose sending goalkeeper Luke McCormick the wrong way. The visitors came into the game with Graham Carey going close before Argyle were gifted an equaliser in the 43rd minute when home goalkeeper Barry Roche failed to claim a right-wing cross to give Threlkeld a free header at the far post and he scored from six yards. The second half began in controversy as Jordan Slew was shown a second yellow card for a dive in the area after Roche ran from his goal to challenge. And Morecambe took advantage as they won the game with a 63rd-minute Peter Murphy header from a Rose corner. The Shrimps then went close to extending their lead as Kevin Ellison and Ntumba Massanka hit the woodwork, but the Shrimps held on.